Amazon has the TP-Link AC1750 Smart WiFi Router, Works with Alexa for $56.99. Free shipping is also included with this deal. 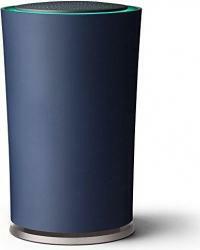 Amazon has the Asus ART-AC1900 OnHub Google WiFi Router for $69.80. This item also currently includes free shipping. Amazon has the TP-Link N300 Wireless WiFi Router with 2 High Power Antennas for $17.99. Free shipping with Amazon Prime. Don't have Prime? Get a free 30-day trial, otherwise get free shipping on $25 or more. Amazon has the Google WiFi Router by TP-Link with Google WiFi App for $84.00. Free shipping is also included with this deal. Amazon has the TP-Link N300 WiFi Range Extender & Repeater for $16.99. Free shipping with Prime. Don't have Prime? Get a free trial, otherwise get free shipping on $25 or more. 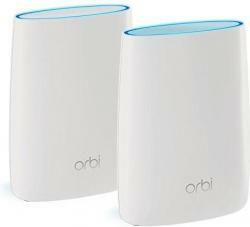 Amazon has the Netgear Orbi Wall-Plug Whole Home Mesh WiFi System for $199.99 after $40 coupon on product page. Also, free shipping is included with this deal. 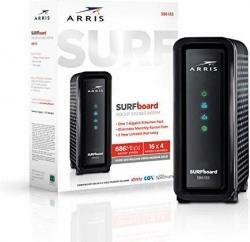 Amazon has the Arris Surfboard SB6183 16x4 DOCSIS 3.0 Cable Modem for $59.00 after $10 coupon on product page. Also, free shipping is included with this deal. 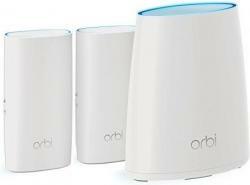 Amazon has the highly rated Netgear Orbi Ultra-Performance Whole Home Mesh WiFi System for $286.99. This item also currently includes free shipping. As one of their limited time Shocking Values, Sam's Club has the Linksys AC1900 1900 Mbps (N600 + AC1300) Smart WiFi Router for $69.88. Free shipping on most items with a Plus membership, or choose in-club pickup when available. Non-members can pay a 10% surcharge or sign up for a membership here and get a free $20 gift card. 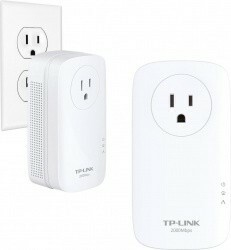 Amazon has the TP-Link AV1000 Powerline WiFi Extender with Dual Band WiFi for $69.99. Also, free shipping is included with this deal. Amazon has the TP-Link Deco Whole Home Mesh WiFi System with 3 Points for $156.90 after $20 coupon on product page. Also, free shipping is included with this deal. 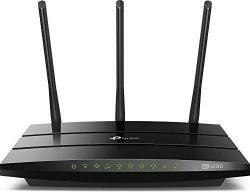 Amazon has the TP-Link AC1200 Smart WiFi Gigabit Dual-Band Wireless Router for $40.00. This item also currently includes free shipping. Was $399.99! 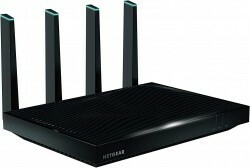 Amazon has the NETGEAR AC5300 Nighthawk X8 Tri-Band WiFi Router for $129.99. You will also get free shipping on this item. Amazon has the Netgear CM500 DOCSIS 3.0 Cable Modem with 686Mbps Speeds for $49.99 after $10 coupon on product page. Free shipping is also included with this deal. As one of their limited time Shocking Values, Sam's Club has the Linksys Velop Intelligent Mesh Dual-Band Wi-Fi System, 3-Pack for $169.88. Free shipping on most items with a Plus membership, or choose in-club pickup when available. Non-members can pay a 10% surcharge or sign up for a membership here and get a free $20 gift card. Amazon has the TP-Link AC1750 Smart WiFi Router, Works with Alexa for $59.99 after $10 coupon on product page. You will also get free shipping on this item. Amazon has the Netgear CM500 DOCSIS 3.0 Cable Modem with 686Mbps Speeds for $44.99 after $10 coupon on product page. Free shipping is also included with this deal. 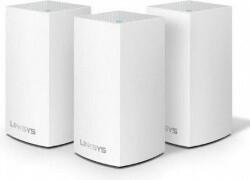 Sam's Club has the Linksys Velop Intelligent Mesh Dual-Band Wi-Fi System, 3-Pack for $169.88. Free shipping on most items with a Plus membership, or choose in-club pickup when available. Non-members can sign up for a membership here and get a free $20 gift card. Newegg has the Asus CM-16 DOCSIS 3.0 16x4 CableLabs Certified Cable Modem for $49.99 after coupon code EMCEPRU42. You will also get free shipping on this item. Amazon has the Google WiFi Whole-Home Router System with 3 WiFi Points for $249.99. This item also currently includes free shipping. Be sure to check out our guide to saving money on Amazon for more ways to save. Amazon has the Netgear CM700 DOCSIS 3.0 Cable Modem for Comcast, Charter & More for $69.99 after $10 coupon on product page. Also, free shipping is included with this deal. 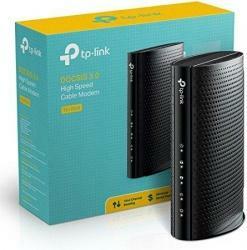 Amazon.com has the TP-Link TC-7620 DOCSIS 3.0 (16x4) Cable Modem for $49.99. You will also get free shipping on this item. 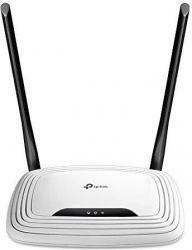 For their members, Sam's Club has the TP-Link Deco M5 3-Pack Mesh 4-in-1 Router & Range Extender for $169.98. Free shipping on most items with a Plus membership, or choose in-club pickup when available. Non-members can pay a 10% surcharge or sign up for a membership here and get a free $20 gift card. 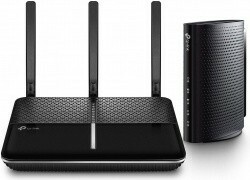 Amazon.com has the TP-Link Archer CR500 16x4 DOCSIS 3.0 Cable Modem & Router Combo for $99.99. Free shipping is also included with this deal. Amazon.com has the TP-Link Deco Whole Home Mesh Wifi System 3-Pack for $169.99. This item also currently includes free shipping. Be sure to check out our guide to saving money on Amazon for more ways to save. 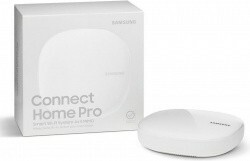 eBay has the Samsung Connect Home PRO WiFi Router & Smart Home Hub for $52.54. This item also currently includes free shipping. Amazon.com has the Netgear 8-Port Gigabit Ethernet Switch for $19.99. Free shipping with Amazon Prime. Don't have Prime? Get a free 30-day trial, otherwise get free shipping on $25 or more. 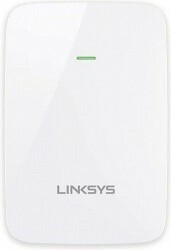 For their members, Sam's Club has the Linksys AC750 WiFi Dual-Band Range Extender for $29.86. Free shipping on most items with a Plus membership, or choose in-club pickup when available. Non-members can pay a 10% surcharge or sign up for a membership here and get a free $20 gift card. Amazon.com has the TP-Link AV2000 Powerline Gigabit Ethernet Adapter Kit for $84.99. Free shipping is also included with this deal. 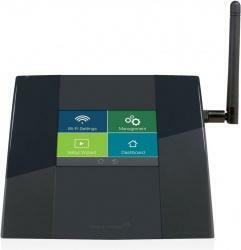 Right now, save 83% from Amazon.com on the Actiontec WCB3000N Wireless Network Extender for $12.01. Free shipping with Amazon Prime. Don't have Prime? Get a free 30-day trial, otherwise get free shipping on $25 or more. 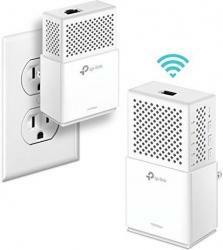 Amped Wireless via eBay has their Amped Wireless High Power AC1200 WiFi Range Extender for $29.99. You will also get free shipping on this item. Amazon.com has the TP-Link 802.11n Wireless Outdoor Access Point for $39.99. Also, free shipping is included with this deal. Amazon.com has the Motorola Arris Surfboard 600 Series DOCSIS 3.0 Broadband Cable Modem for $54.13 when you clip the $7.00 off coupon on the product page. Free shipping is also included with this deal. For their members, Sam's Club has the TP-Link AC2300 Wireless Gigabit Router & Cable Modem Bundle for $149.98. Free shipping on most items with a Plus membership, or choose in-club pickup when available. Non-members can pay a 10% surcharge or sign up for a membership here and get a free $20 gift card. 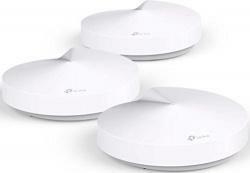 woot.com has the refurbished Luma Whole Home WiFi System with 3 Router Modules for $99.99. Free shipping for Amazon Prime members, otherwise shipping is a flat $5.00. Posted on 3/24/18 in Networking, Woot! Best Buy via eBay has the Google WiFi Whole-Home Router System with 3 WiFi Points for $259.99. You will also get free shipping on this item. In addition, you'll earn eBay Bucks to use on a future eBay purchase. 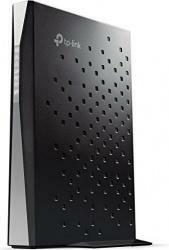 Best Buy via eBay has the Motorola MB7420 DOCSIS 3.0 Cable Modem for $79.99. Free shipping is also included with this deal. 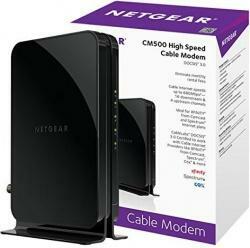 Amazon.com has the Netgear CM500 DOCSIS 3.0 High Speed Cable Modem for $47.44 after $10 coupon on product page. Also, free shipping is included with this deal. 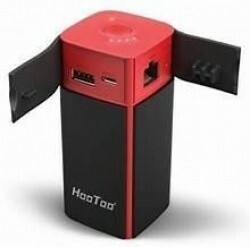 Amazon.com offers their highly-rated HooToo TripMate Titan 802.11n Wireless Travel Router / 10,400mAh Portable Battery Pack for $30.89 when you apply coupon code SWQCN7LL at the checkout. Limit 1 per customer. Free shipping is also included with this deal. Deal ends Feb. 15th.